Cell phones are such a part of everyday life for many Americans that most no longer think about pulling a mobile phone out to send a text or message; it’s just natural. Unfortunately, the tendency to just send text or reply to them is dangerous when driving. Many states and cities are working on bans that would prohibit texting while driving and some are calling for a nationwide ban on the practice. A study released by the National Highway Traffic Safety Administration (NHTSA) found that 1-in-4 teen drivers admit to texting while driving. Analysts believe the number is much higher than what is being reported. One of the problems is that for police to write citations for texting while driving they have to catch the driver in the act. 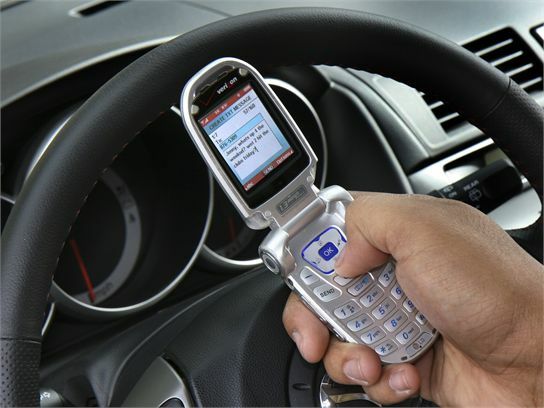 Catching people talking on the cell phone and driving is easy to do, but if the driver is texting with the device in their lap things are much more difficult. The California Highway Patrol has issued 163,000 citations to drivers for talking while driving on the phone, but issued only 1,400 citations for texting and driving. One teen interviewed by Reuters said he only stopped texting while driving after his cousin was in a serious accident while texting. A graphic commercial aired in the UK to help stop texting and driving showed teens in an accident caused by texting and driving. President Obama recently signed an executive order banning federal employees from texting while driving.